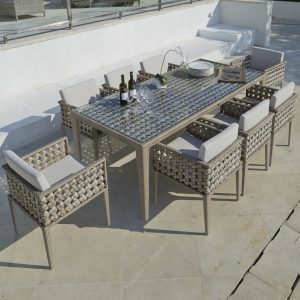 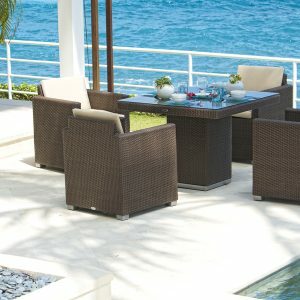 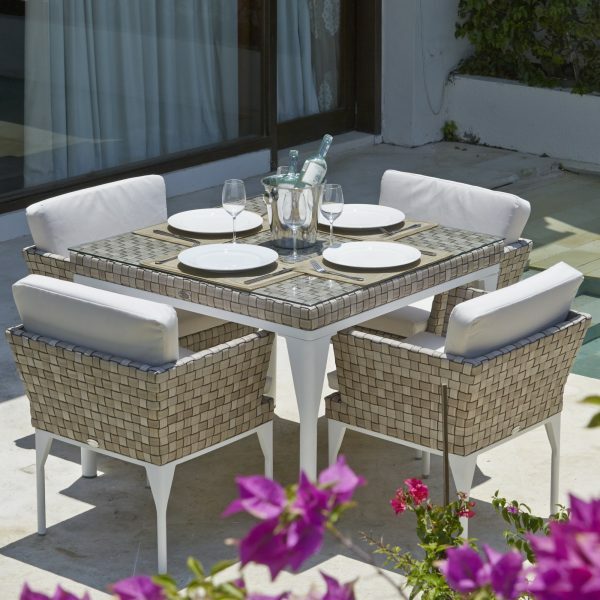 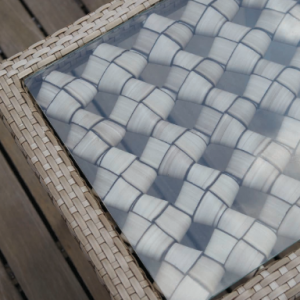 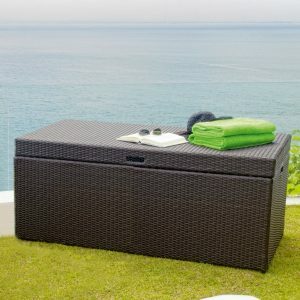 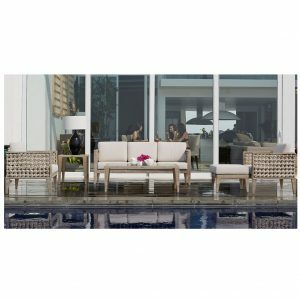 Table and chairs are covered with tightly woven, weather resistant, synthetic material. 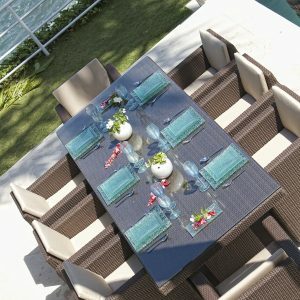 Chairs and tables are completely covered on top, sides and base. 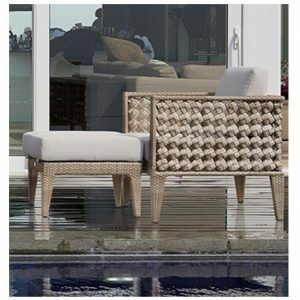 They are low maintenance for easy cleaning. 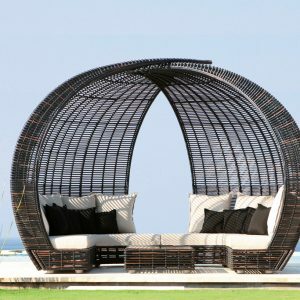 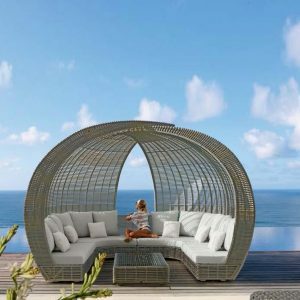 These synthetic fibers are boldly revolutionizing design providing chemical and UV resistant, all-weather proof, high-tensile strength furniture that is safe for the environment and 100% recyclable.